Discover in the Dominican Republic the Best in Health & Wellness. The Centers for Global Health & International Medicine (CGHIM) is a full service Independent International Department located in Santo Domingo. CGHIM offers integrated solutions for the Medical-Tourism sector, providing our patients the highest quality medical care in the in the Dominican Republic. Our medical personnel is recognized not only for their technological leadership, professional excellence, personalized assistance and reliability but for their international certification as well. At CGHIM we aim to improve the health and well-being of our patients through personalized assistance provided by an internationally certified team of professionals. Our Commitment: To ensure an outstanding medical experience for our patients. Serve the best interests of our patients with a strict patient-centered philosophy and a value-based management model focused on high quality international standards. Become regional leaders for Global Health, International Medicine and Medical Travel. Our Centers deliver high impact effective training efforts and work closely with reputable global academic institutions. "My profession is both a blessing and the most amazing responsibility. I strive to serve only the best interest of that person that in a vulnerable moment of illness has entrusted us with their life and the well-being of their loved ones." 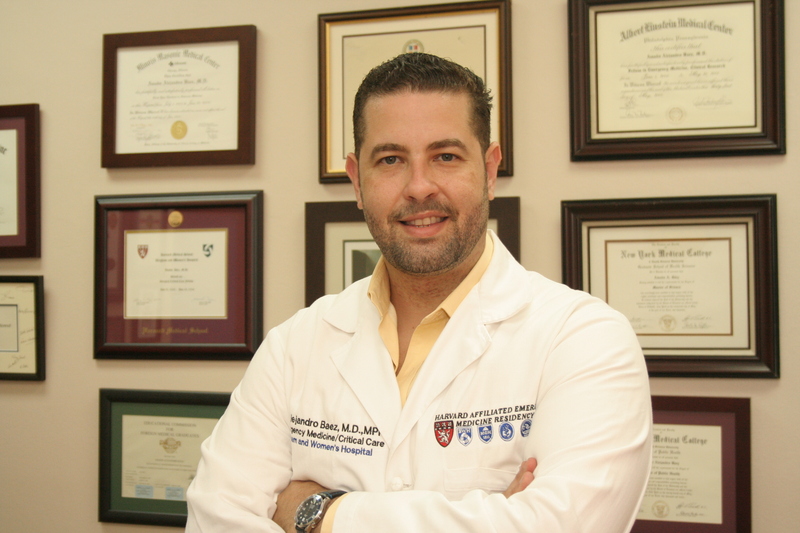 A highly awarded influential Healthcare Systems expert, Dr. Baez is a third generation physician with faculty appointments at Harvard University, the University of Barcelona and the University of Miami. Dr. Baez is a Mayo Clinic and Harvard trained U.S. Board Certified physician with graduate degrees in Public Health and Healthcare Management. His vision of patient-centered / socially responsible medical travel is redefining the landscape of the healthcare industry. Dr Baez’s academic, innovation and humanitarian work has been internationally awarded leading to his recognition as an influential Latin American business and academic leader. Word-Class healthcare in a beautiful & idyllic tropical destination. The best medicine in the most beautiful environment is just a quick trip away. The Dominican Republic not only boasts the latest in cutting-edge technology currently available in the healthcare industry for diagnosis and treatment, such as next-generation MRI, Pet Scan, computed tomography, minimally invasive procedures, micro surgery, organ transplantation, robotics surgery but many health practitioners are trained and certified in United States and Europe also. Dominican Republic enforces government policies to monitor quality of care; for instance all healthcare providers must be certified according to national standards. In Dominican Republic, many health care facilities including laboratories and blood bank are certified under ISO 9001. The best health care organizations in the country are currently in process of obtaining international accreditations by Joint Commission International (JCI), Accreditation Canada International (ACI) and International Board of Medicine and Surgery (IBMS). Some healthcare centers have international departments in order to provide services to international patients like transfer of medical records, translation services, airport pick-up/drop-off and help to coordinate hotel accommodations. Dominican Republic aims to offer international patients with privacy and hospitality ideal for their recovery. Visa is not required for citizens of the United States, Canada and several European countries. 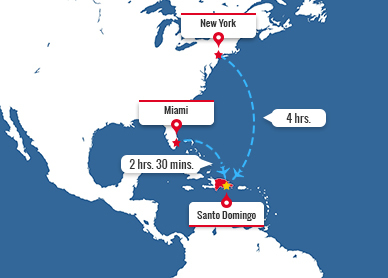 Accessibility by air from all countries around the world, especially North America, South America and Europe. Immediate care without waiting lists. Favorable climate all year ideal for rest and recovery. Availability of world-renowned anti-aging and spa wellness services.